The story is simple. 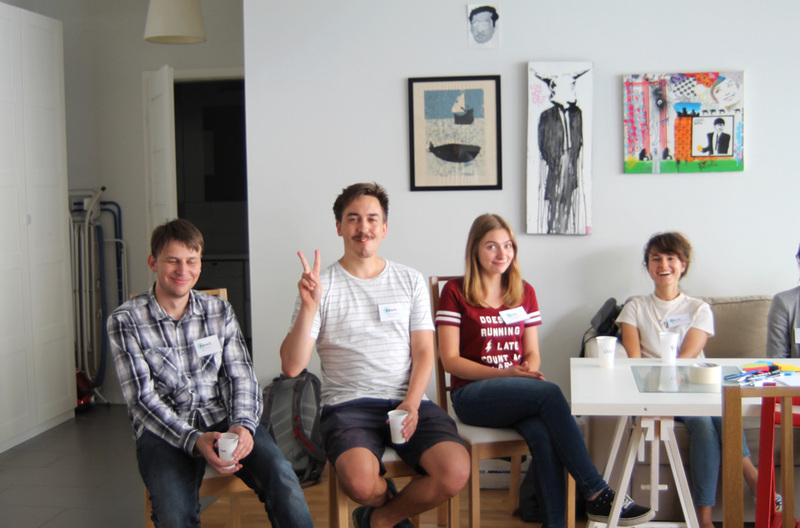 Four friends who work daily in the IT world as designers and developers in different companies in Warsaw want to create something cool together. Being tired and uninspired of 9- 5 job, they eagerly seek for opportunities to engage themselves in a side project. Although side projects always sound fun, looking for a specific topic or a product idea it was not as easy as expected. 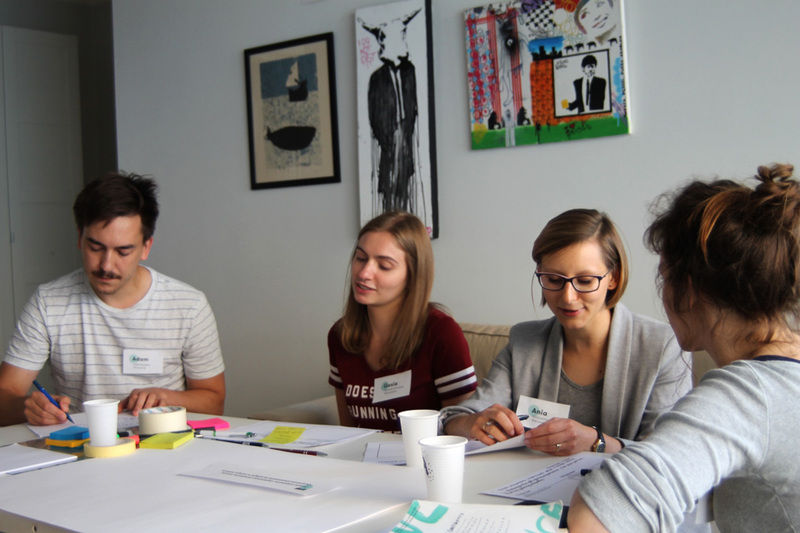 After hours of long discussions, they came up with an idea to create a website or mobile app about Warsaw. To help them explore different users' needs they invited their friends to a Design Thinking workshop, asking them to discover pain points in the process of planning a trip & visiting a new city. The task was simple - gather people in one place and let them act. See the problem from various perspectives and derive fresh ideas from them. We're Aga, Filip, Krzysiek & Pablo. Meet our amazing friends & find out more about our small, but very inspiring workshops. It’s a method of creating innovative products and services based on a deep understanding of a problem and users’ needs. Basically it’s a systematic approach to the an innovation process. You build a multi-disciplinary team which goes through each stage of the process, step-by-step using a set of tools and techniques to develop a “possible-to-implement solution”. The team's objective is to generate original solutions and check their performance during the prototyping stage. 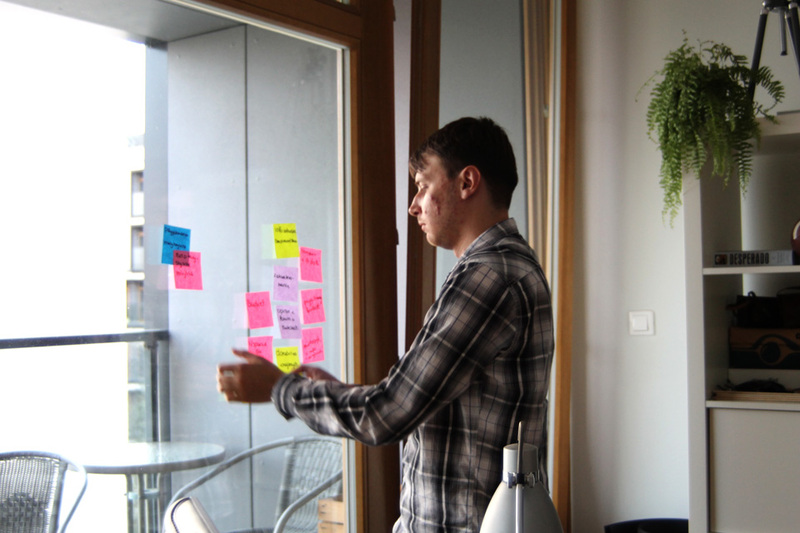 You should to know that no one from our team has experience in moderating Design Thinking workhops. This is why we went through the process ourselves to find out how it works. 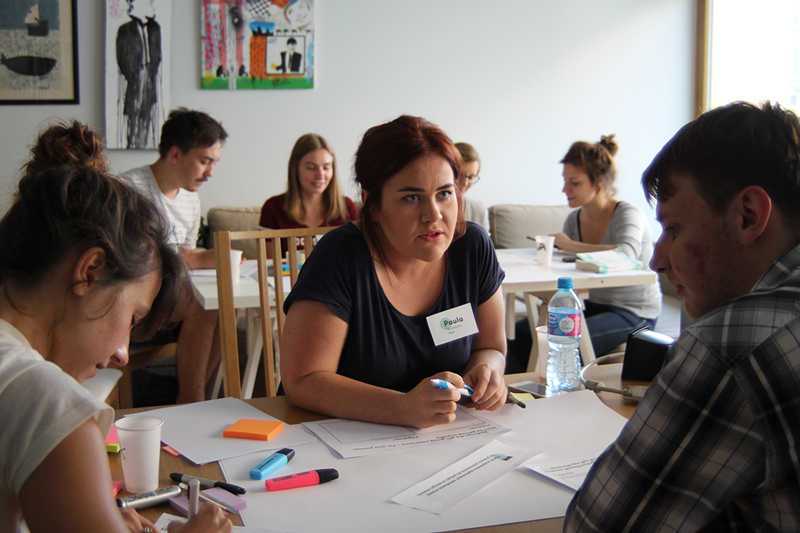 The biggest problem was defining a clear question or problem statement for our participants. We didn't want to suggest anything in the topic, leaving the vast area to interpret the problem in different ways. After long discussions, we finally came up with a topic that covered our needs: Help your friend plan a visit in a new city (from the planning process to the visit itself). In the meantime, we created a list of participants and started gathering necessary materials - cardboard, paper, post-its, colorful pens etc. Our goal was to invite people from various backgrounds to keep it consistent with the Design Thinking approach. We couldn't have been happier when people accepted our invitation. The workshop has day finally come! We tried to create groups in which people didn't know each other. It was extremely inspiring to observe our friends being so engaged in the exercise while having fun during prototyping. Amazing ideas came to life wouldn’t have with paper prototypes and stories presented by both groups. Working with people from various backgrounds, professions and interests is extremely valuable. It delivers a lot of ideas, which you wouldn’t have come up with by yourself. 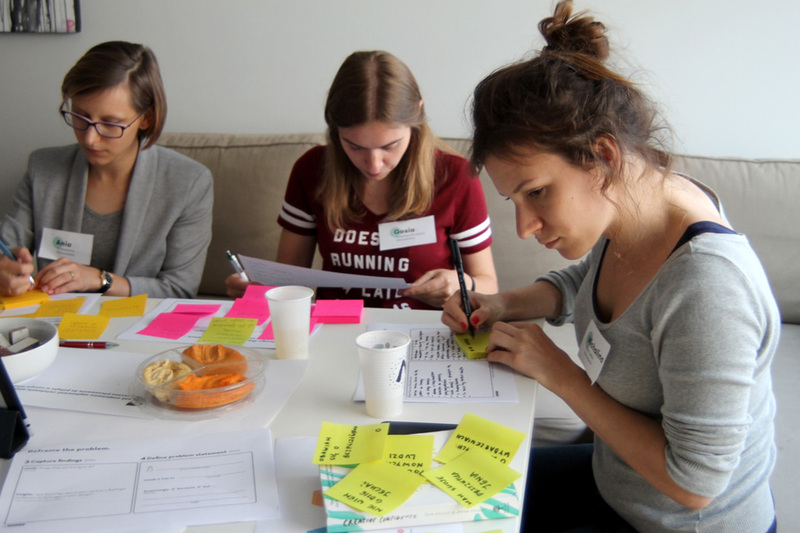 If you have ever wondered whether your idea or solution to the problem is right, or maybe you are stuck and need an inspiration just give it a try and organize a Design Thinking workshop with your friends! We got a creative boost and recharged our batteries to start working on our project. We would like to thank our brilliant friends - Adam, Ania, Gosia, Kasza, Kamil, Misia and Paula - You're awesome! THANK YOU!